The Jungle Cruise. 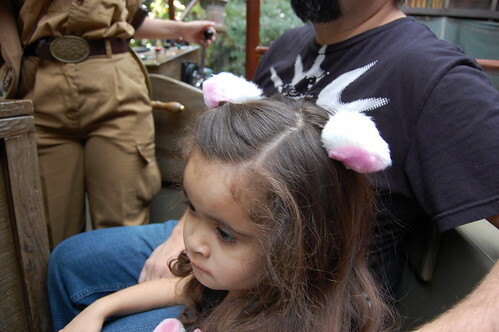 We bought her those cat ears so she could look like her Marie cat that she carried all over Disneyland. 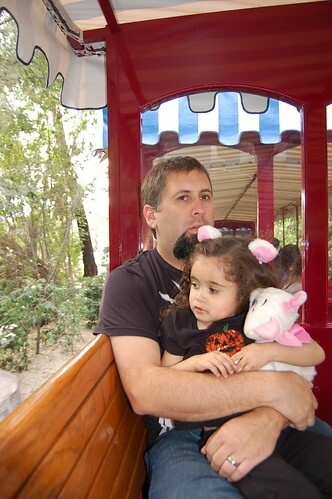 Taking the train around the park. We love spinny rides. Well not Dad. She had to have the pink cup! 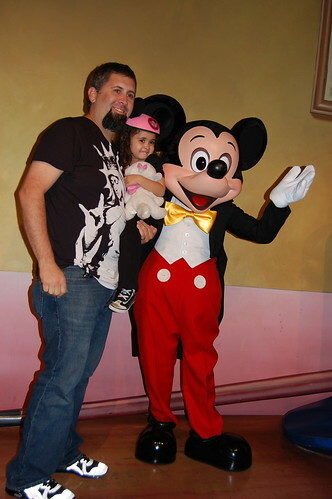 She was shy but excited to meet Mickey. 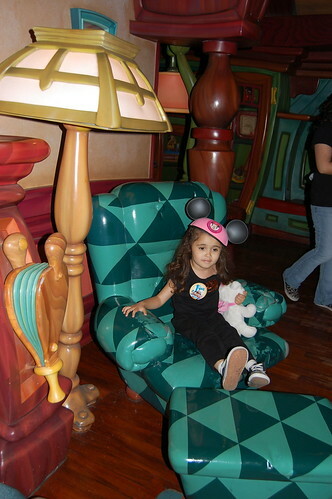 At the playground at Goofy's house. 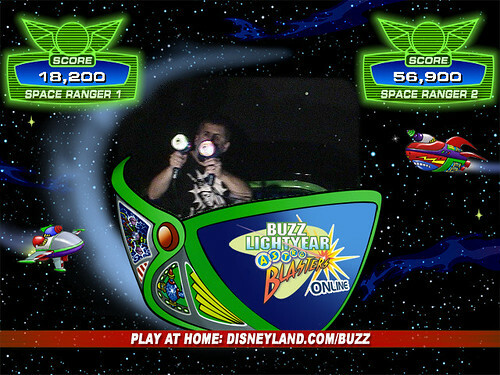 PR Dad on the Buzz Lightyear ride. The Phi is laying next to him. We dressed her into her costume when it got cold. She fell asleep like 2 seconds after this picture was taken. You can tell by these pics that The Phi was not 100% that day. 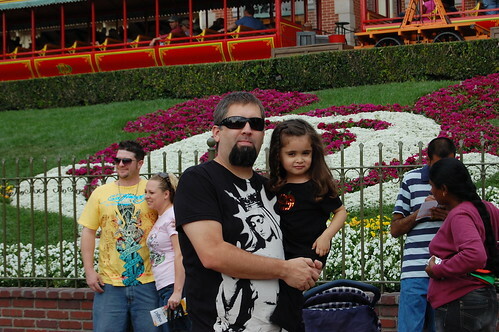 But we couldn't pass up a free trip to Disneyland. (yes we got in for free!) 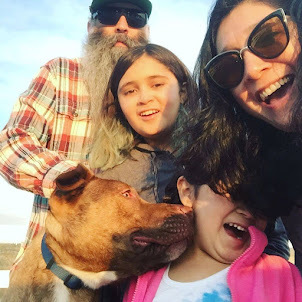 And when the doctor told us she could go we went. 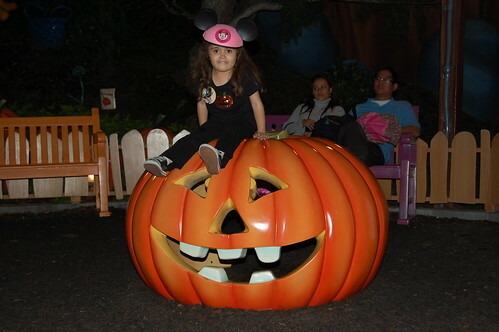 We took her on the Haunted Mansion and Pirates first. She sat inbetween us and just stared wide eyed. I thought we scarred her for life. But we didn't. 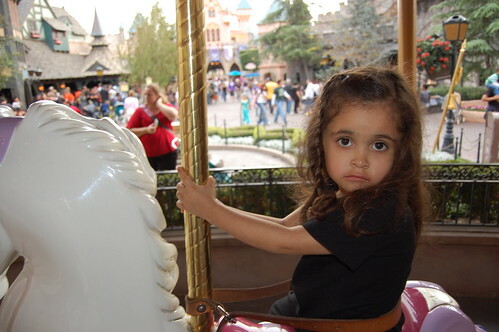 She has not stopped talking about her Disneyland trip. We cannot wait until next time! 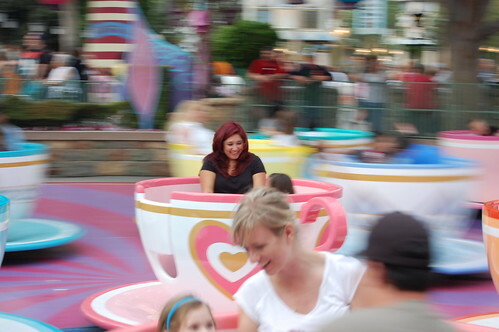 that pic of you guys spinning and everything is "spinny" except you guys is SO COOL!!! 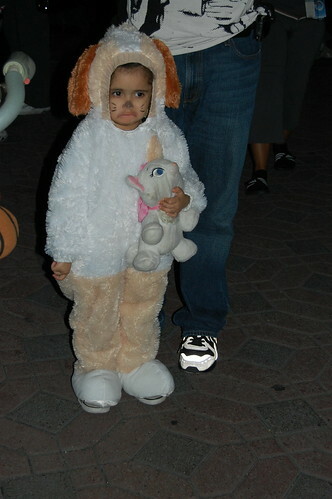 That is the most pitiful Halloween pic I have ever seen! 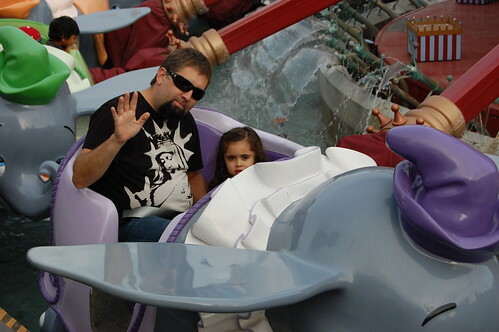 I do not like spinny rides but I agree with super mom, the pic is AMAZING! How fun that you went on Halloween. Did The Phi love Mickey's house? AJ loved that!